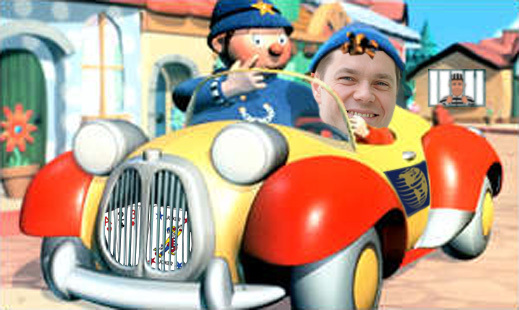 You don’t have to be Mr Plod to suspect that Noddy isn’t playing fair. More than half the Canadians who hold shares in High River Gold (HRG:CN), and who have resisted Alexei Mordashov’s buyout offers in the past, think he’s low-balling them again. Having driven up the share price to C$1.43, three cents over Mordashov’s latest offer price for his takeover of HRG, the sentiment in the share market is against Mordashov. Or is it? 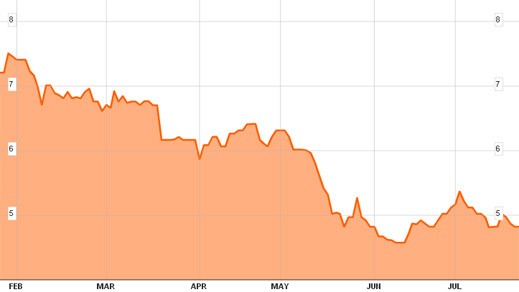 On July 18 Nordgold (NORD:LI), which already owns about 75% of HRG, announced that it wants to buy the rest. Nordgold is listed on the London Stock Exchange; HRG on the Toronto Exchange. The former has a market capitalization of US$1.71 billion after listing in Moscow and London between December 2011 and January 2012. Since then it has lost more than 60% of its value. By contrast, over the same period of time HRG has preserved its value, starting at C$1.24 in January and ending at C$1.23 at the start of last week, before Mordashov made his move. The market cap of HRG on July 17 was C$1.03 billion (US$984 million). The buyout offer is addressed to the “Minority Shareholders of High River Gold Mines Ltd… Nordgold currently owns 630,627,472 High River shares, constituting approximately 75 percent of High River. Under the terms of the proposed offer, eligible High River shareholders will have the right to elect to receive either: (i) 0.285 (the “Exchange Ratio”) Nordgold global depositary receipts (“GDRs”) for each High River share held by them (the “GDR Offer”); or (ii) C$1.40 in cash for each High River share held by them (the “Cash Alternative”, together with the GDR Offer the “Offer”). A buyout offer from Mordashov has long been anticipated in the London and Toronto markets. Analysts who follow the two stocks believe that Nordgold has been the more under-valued of the two; among the reasons for this is the public case the HRG minorities have made that Mordashov is toxic for their company and for their valuation of HRG’s fair share price. The story of Mordashov’s fight with the HRG minorities over the past three years can be followed here. The current position can be described arithmetically this way: there are a total of 840 million HRG shares on issue. Mordashov through Nordgold and other companies owns 631 million (75%). That leaves 209 million – and they are the target of the July 18 offer. Of this aggregate, the Nordgold announcement claims that 58 million have been pledged to Mordashov for conversion to shares of Nordgold. If true, that would leave 151 million, or 18%. There are reports from the Canadian minority shareholders that they have lined up pledges for at least 110 million shares (13%) to be voted against the Mordashov offer. If that too is true, then the fate of the takeover now depends on what the holders of the remaining 51 million (6%) will decide. According to the Canadian stock exchange rules, once Mordashov can demonstrate he owns 90% or more of the share – that’s 756 million—he can proceed with a mandatory buyout, and the resistance is at an end. 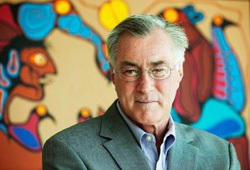 The bellwether of the resisting minorities has been Sprott Asset Management of Toronto, run by Eric Sprott. 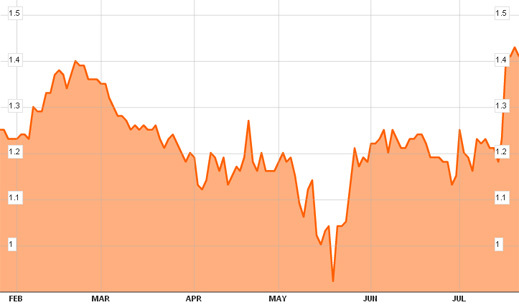 Moscow Investors in HRG believe he may hold as many as 50 million of the so-far uncommitted shares. Sprott isn’t announcing publicly where he stands towards Mordashov, except that according to sources in Moscow, he believes Mordashov’s earlier buyout offers were too low to be acceptable. The Canadian minorities with smaller stakes continue to believe that Mordashov’s offer is still too low, and that if they succeed in barring him from crossing the 90% threshold, he is likely to do what he’s done before – extend the time for the offer acceptance, and sweeten the offer price by another 10 cents to 20 cents. The Nordgold announcement has called on HRG to commission an independent valuer to produce an opinion on the fairness of Mordashov’s offer. Once that is ready, it is to be included in the terms of offer to be mailed out to the minority shareholders. They will then have 35 days to say yea or nay.